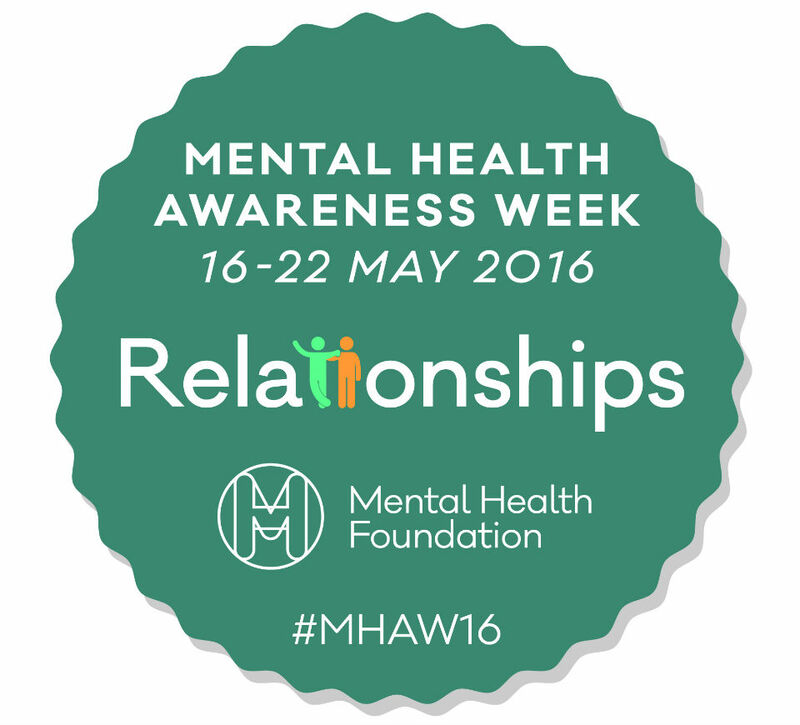 Monday 16 May marked the beginning of 2016 Mental Health Awareness Week. If you have read my previous blogs, you will know that improving the support available to our people on managing mental health is a key priority for me. Mental Health Awareness Week seeks to generate discussion on lifestyle factors, such as eating well, exercising more, stopping smoking and friendships, that can impact positively on our mental health. This year’s Awareness Week theme is 'Relationships'. We are all asked to go the extra mile in prioritising our relationships and to consider how much time we actively commit to listening to friends, family and colleagues and building and maintaining good relationships. For the Civil Service it is about creating the climate in which people can talk about mental health and redoubling our efforts to create an inclusive culture in which good relationships for all our people can thrive. Talk about your feelings. Talking about your feelings can help you stay in good mental health and deal with times when you feel troubled. Keep active. Regular exercise can boost your self-esteem and can help you concentrate, sleep, and look and feel better. Exercise keeps the brain and your other vital organs healthy, and can benefit your mental health. Eat well. Your brain needs a mix of nutrients in order to stay healthy and function well, just like the other organs in your body. A diet that’s good for your physical health is also good for your mental health. Drink sensibly. We often drink alcohol to change our mood. Some people drink to deal with fear or loneliness, but the effect is only temporary. Drinking is not a good way to manage difficult feelings. Keep in touch. There’s nothing better than catching up with someone face to face, but that’s not always possible. You can also give them a call, drop them a note, or chat to them online instead. Ask for help. We all sometimes get tired or overwhelmed by how we feel or when things don’t go to plan. If things are getting too much for you, ask for help. Your family or friends may be able to offer practical help or a listening ear. Take a break. A change of scene or a change of pace is good for your mental health. It could be a five-minute pause from cleaning your kitchen, a half-hour lunch break at work, or a weekend exploring somewhere new. A few minutes can be enough to de-stress you. Do something you are good at. What do you love doing? What activities can you lose yourself in? What did you love doing in the past? Enjoying yourself can help beat stress. Doing an activity you enjoy probably means you’re good at it, and achieving something boosts your self-esteem. Accept who you are. We’re all different. It’s much healthier to accept that you’re unique than to wish you were more like someone else. Feeling good about yourself boosts your confidence to learn new skills, make new friends and helps you cope when life takes a difficult turn. Care for others. Caring for others is often an important part of keeping up relationships with people close to you. It can even bring you closer together. I hope you will find these tips useful. Talking about mental health is important and can be a way to cope with a problem you’ve been carrying around in your head for a while. Just being listened to can help you feel supported and less alone. And it works both ways. If you open up, it might encourage others to do the same. Line managers have a critical role to play, and Mental Health First Aiders or Advocates, who have recently been appointed in every business unit, can provide further support. It is likely that all of us will experience or know someone with mental health problems. The latest estimate is that 1 in 4 of us will experience a mental health problem in any given year. This is why I have identified Mental Health as a key priority and you can expect to hear more from me on this on this important issue over the coming months. If you have any comments or queries on this blog, please post them below, or contact me at: Disability.Champion@dft.gsi.gov.uk. 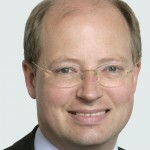 Follow Philip on Twitter: @PhilipRutnam. The FCO – "less Ferrero Rocher, more Jack Bauer"? I recently needed the Employee support and on ringing them could not access a counsellor. This renders the service useless and causes more stress.. This did not happen with the previous provider who were always accessible. Ringing this service is part of my managing stress in my risk assessment. Micha, Sorry to hear about your experience with the Employee Assistance Programme (EAP). Calls to this type of support service are triaged to provide the best possible solution for the individual. There are a range of services available and counselling is just one possible option. To discuss any specific concerns please contact your departmental Occupational Health, Safety and Wellbeing Team. The contact email you have given is no longer a valid email address, bit disappointing given it is mental awareness week and you are trying to promote people speaking up. Thanks Sheila. We have checked the email address and it does seem to be working properly. However, we have made the email address a live link, for ease of use and to prevent possible cutting and pasting of the full stop that follows, which would invalidate the address. The mental health of staff would be much improved if our management style were reviewed. We desperately need a paradigm cultural shift in management, from top to bottom. Not only would this enable us to provide a better service to the public we serve, it would ensure a happier, healthier, more productive and engaged work force. At present engagement is only talked about in my experience. Be nice to see it become reality. I wholeheartly agree Kevin. In our department the imediate line management are not equipped with dealing with staff with mental health problems specifically when these are hindering how they perform in the job. This needs to be dealt with, as Kevin says, from the top down in how management can support staff who are struggling with mental health in different ways from their other staff. Kevin, you are right to highlight that we need to change the culture on mental health to break the stigma. People should not be afraid to talk about their experiences because they worry that this will affect their jobs or relationships. We all have a key role to play in making this a reality, not just managers. I have identified support provided to colleagues with mental health concerns as a key priority and this will include supporting managers to have mental health conversations. I think your advice is a very useful refresher. I also think that the change in contracts ie MEC has increased stress levels for every body who is mobile. It has increased your work time (unpaid) and decreased your family/Personal time causing more stress. Its a shame no one really cares. I myself have problems amongst them PTSD I find the support varies from a complete lack of understanding to the most excellent support I'm getting at the moment. I don't know what I'm going to need from one day to the next , it ranges from can I have a word to I'm just taking 5 mins out or even sorry I'm going home . It this flexibility that is starting to help me. I got here by my own unique circumstances ... but we together will get through it ! Some times I push people away but they are still here for me that is awesome I push you away cause I hurt . Simon, Thanks for sharing your story. I have attached a link to a Mental Health Foundation web page https://www.mentalhealth.org.uk/a-to-z/p/post-traumatic-stress-disorder-ptsd which contains information and links which you may find useful. You make an excellent point that the support required will vary for each individual and sometimes can be as little as permitting 5 minutes time out. It is great that people are still there for you and we want to build this type of supportive culture across the Civil Service. Philip, Thank you for supporting a very important issue and for your top ten tips. As a member of the FCO Wellbeing Network we are promoting MHAW by holding events that offer the opportunity to staff to get away from their desks and to either learn a new skills or to take a walk through St James Park and meet other colleagues. In respect to the point raised by Janet about MH First Aiders. I am aware that this is one of the action points listed on page 19 of the Talent Action Plan 2016 and like Janet I too will be keen to see how the various Departments seek to meet with this particular goal? Gavin, You should speak to your Departmental Mental Health & Well Being lead. If you are not sure who this is, feel free to email me on disability.champion@dft.gsi.gov.uk and I will look into this for you. I am a new starter to DWP and I suffer from mental health issues. It's great to see someone take these issues seriously as often they are underestimated and subsequently people feel isolated and disengaged with their role. By someone of Phillip's calibre and standing within the civil service taking an interest, it highlights how important a role that everyone can have in either managing their own difficulties or helping someone manage theirs. In my previous job, I was a mental health advocate and would like to carry that on in this role, I also expressed interest in mental health first aid, so I will be making enquiries at my office on that when I'm settled in and got to grips with the role. Thank you for highlighting the importance Phillip of these issues. James, thank you for your support. It is really important that we build visible mental health role models, particularly senior mental health role models, to raise awareness and encourage others to talk about their experiences. I have just watched an item about combatting depression (surely a Mental Health issue) in men Over 50, by getting them involved in walking football. This is something which could work here at Abbey Wood.unfortunately I have no idea about how to suggest this to get off the ground. Hi Anthony, I am in Southend and one of our local footballers runs his own youth academy and he is just setting up Walking Football as well. May be worth google search for Adam Barrett Football Academy to see if there are any tips. I don't think he has set an age limit but its aimed at us older (young at heart) members of society. Tina, thanks for sharing this in response to Anthony’s comments. Anthony, Thanks for highlighting this excellent initiative. I have completed a quick intranet search and attach a link to a website on walking football for the over 50s. [http://oldermenswellbeing.org/2014/09/04/walking-football-a-great-way-to-play-for-the-over-50s-man-2/] This sounds like a great way to keep fit, meet new friends and boost our mental health. Then Mr Rutnam the government has to lead from the front and stop stressing people out with unnecessary and archaic, mandatory work practises such as PMR and five a year which are totally unnecessary. Paul. Been there, se....etc! I was at HMRC, came back from 6 weeks sick leave (depression) and immediately put on sick report! This was in the early Nineties. Glad to see things have moved on!!! Until I read this blog i was unaware that Civil Service (especially hopefully my dept) has now appointed MH Health & Wellbeing advisors, nor in particular Mental Health Advisors/Advocates. I have been asking over past 8 years for such support, especially a local advocate to assist dealing with personal and localised establishment issues. I read about Disability Champion and a Reasonable Adjustment Advice team last year. Recently heard the Disability team had 'taken on mental health' as well as physical disabilites. When I contacted them I was told, we haven't really any advice or officially acknowledged guidelines useable for us to direct contact and discuss with 'recalcetrant' managers for the range of options useable to enable, specific to each case, effective reasonable adjustments for mental health/disorder spectrum sufferers. I personally find the new PDR and sick systems extremely good - for triggering rampant anxiety, panic detachment. It has had the effect of placing someone who has worked for the dept over 30 years, with previous many recommendations for promotion and always good performing or better assessments - into now having two years running a bottom performing assessment due to two managers in a row (and a reporting officer) avoiding spending time with me having the empathic, supportive, open to start 'thinking outside of the box' calm, clear and constructive communications previous manager/reporting officer gave me in the ways they wished to have the office and myself operate and perform. I managed a box 1 on the completing of the very confusing for me PAR form, as I find it a challenge to identify strengths and express examples effectively. Especially to imagine and pre describe years events/jobs to use for objectives. Sadly after return to having managers who have not the same attitude to employing and including a MH disabled staff I am now crumbling again, yet fearful of taking time off with stress and depression. For me, and i believe other MH suffers, it is all about the collegues and Managers attitudes, inclusivity and taking the effort to talk and gain awareness of the triggers of symptons within a MH sufferer. I know that sounds like i expecting people to put me in a zorb ball and tip toes round me, I dislike that feeling, it difficult to explain. We all like coffee or our tea made in a specific way, we are all drinking same bevereage but just in a different style and recepticle. MH disabled/disorder suffers are just the same, just different needs in beans/leaf/milk qty etc 🙂 With training I can do a job, might not be something i would choose to do so not enjoy it but managed well and working with collegues who accept differences in others I love the job - I love my MoD Civil Service work. What makes it so i love or hate it is -People's attitudes and judgements, willingness to learn/discuss/apply their MH knowledge of that one individual they work with, is key to a MH/disorder sufferer's sucessful employment without exercabating their conditions and feeling encouraged to bring and add into the Civil Service/MoD output and environment, their own special skills and dimension to the 'family'.my GP has been upping my dosage, now saying he can't do any more other than tell me to resign from such a toxic management environment. I can't afford to do that, plus i loved working for CS, was so proud to be Her Majesty's Servant. I am very excited to read about these new advisors/advocates etc and hope they are given effective powers to intervene at local levels on individual cases. Please can the actual persons names and contact details be advertised far and wide, and down to us grass roots folk - so we all can access them and gain the assistance and support so many of us need to continue keep giving the loyal and conscientious service we MH suffers offer to the Crown. I have suffered mental health issues recently following a bereavement and stress at work due to short staffing. A doctor signed me off for 2 weeks, when I returned I have been placed on a six month sickness plan which only allows another 4 days sick period during this time. I dont think this is very helpful to improving well being ?. Paul, I am sorry to hear about your experiences. Line managers have provision to consider special leave for bereavement based on individual circumstances. If you do not feel that you have received the support you require, you should raise this via the appropriate appeal or grievance route set out in your departments policy and guidance. The Tips are good, but it is often the position that it is where these cannot be acheived which eventually causes the problem - e.g., a singleton johnny no-mates is not going to be able to ask friends or family for help nor is it likely from Work either. You are absolutely right that some people may not have family or friends to call upon and therefore some of the tips will not work for everyone. The Mental Health Awareness week theme of relationships encourages all of us make an effort to ensure that nobody is excluded or isolated in the workplace. For some, perhaps undertaking a new activity such as walking football for the Over 50’s as mentioned by some people, could be a good way to meet new people and acquire a network of friends. You can send this sort of thing out as much as you like, it doesn't change anything. When someone is off ill with a broken limb, the TL will tell people, when someone is off work with a mental heaqlth problem it is kept secret as if the person would or should be ashamed. I do agree that non-visible mental health illnesses are sadly not treated the same as visible physical health conditions. We need to break the silence and create a culture in which people feel able to have open conversations about mental health. It is not going to happen overnight but, by celebrating events such as Mental Health Awareness Week, we can start to challenge this. Have we got a list of Mental health First Aiders that work in the DVSA and that can be contacted. Tony, The Wellbeing lead in your department should be able to provide this information. If you aren’t sure who this is please email Disability.Champion@dft.gsi.gov.uk and we can look into this for you. Is there any way the Civil Service can act as a reasonable employer with regard to mental health? The stress placed on staff, from being undermanned, overworked, and targets that must be hit regardless, and a sickness policy that is just insane are not helping anyone's mental health. As someone who suffers with mental health issues the advice given is good, however alot also depends on Line Management. I have been managed by a wonderful Line Manager who helped me when I was having difficulties and have also been managed by one that showed his true colours when it came to me been off. I have also access Employee Wellbeing on two occassions and had one very positive experience where the call taker really did help and advise me. The second occasion i was on the phone less than two minutes as they really werent interested. The opening comment was 'We are understaffed' not helpful. Lets hope the Civil Service develops their knowledge and continues to help people who require it. Also I think as individiuals people need to help get rid of the stigma around Mental Health. Niki, Thanks for sharing your experiences, both good and bad. You have highlighted perfectly the importance of increasing awareness by line manager and others of mental health, to ensure that colleagues with mental health concerns receive consistently high quality support. I am sorry to hear that and can appreciate that it is sometimes difficult to balance competing priorities. As managers and individuals we need to recognise that staff development and learning is equally as important as immediate work activities. I don't know if you have looked at the comments to Natalie Ceeney's blog on this issue but I would recommend that you do. Some of the experiences people have written about are truly horrendous and some of the issues people have faced regarding attendance management and PMRs have been appalling. Catherine, I have read Natalie’s excellent blog and admire her courage in speaking about her own experiences of mental ill health. I hope that more senior managers with similar experience will also feel able to speak openly. Role models have a vital role to play in removing the stigma and breaking the silence. I have suffered from Depression for some time and it is a very cruel illness as you completely lose who you are. I got to the stage where i could come to work and not recall anything about what I did that day and not be able to retain any information as i had no concentration. Unfortunately my line manager was of the opinion that I needed to pull myself together and get on with it! I got to the stage where i was petrified to go to work. Luckily i managed to sort my meds out and did a mindfulness course for recurring depression which helped a lot. I have now not had a days sick for 19 months but this was down to my colleagues helping me and myself. Management need to be aware that when you feel like this you cannot make yourself do anything let alone pull yourself together. PMR was a huge trigger for me so have ended up on a PIP for a year in the needs improvement wave! Very true. I was in a bad place with depression in the 1990s, spent whole days unable to talk to anyone, and the few bright moments were soon overwhelmed. You can't function properly like that regardless of what others say. I got through it of my own accord and haven't been back, but PMR has pushed me dangerously close to the edge at times, and only external support and interests saved me from a major relapse. Sarah, Thanks for sharing your experience. I am pleased that in your case the Mindfulness course helped with your recurring depression and I am sorry that you feel you did not have the line manager support you needed. CSEP colleagues are currently looking at how we can improve the application of PMR, acting on findings from equality analysis. The free online course at wesbite Futurelearn "Mindfulness for wellbeing and peak performance" is a great resource for managing your mental health, one of the points in the courses in the point is that we don't wait until we are drowning before learning how to swim. Looking after your mental health is for everyone. I have just come to the end of a very traumatic period in my life (the deaths of 4 family members; the loss of a previous job and severe financial problems leading to depression). I would not be here now if it was not for the support and understanding of my friends. I made the mistake of bottling things up and this made things worse. However, there is no right or wrong way of dealing with things sometimes. You just have to try and survive. I've recently written a blog which will hopefully be published soon on the DECC Intranet. I found the whole process extremely therapeutic and I now feel far better thankfully. John, Thanks for the feedback and for sharing your experiences. We need more courageous role models like yourself who are willing to blog about mental health to increase awareness of this important issue. I am pleased that you found the process therapeutic. Thank you for sharing Philip. It's important to remember that if your condition is covered by the Equality Act 2010, or for Northern Ireland, the Disability Discrimination Act (DDA) that your employer should consider reasonable adjustments. If you're not covered by these your Doctor may be able to help with a fit-note specifying adjustments that will help keep you in work. I would like to see the Civil Service Mental Health awareness training being mandatory for all. I know also that some Mental Health advocates within the Civil Service have organised confidential 1 hour monthly dial-in within their organisations to help people. Sometimes just chatting or listening to others in similar circumstances can help so the dial-in is quite helpful. Elaine, Thanks for your insightful comments and suggestions, which I will pass on to CS Health & Well Being and CS Disability Inclusion team colleagues. We recently had a webinar on stress- How to spot it, Roll of Line Managers , Practical tips on managing staff who are showing sIgns of stress- 11am to 1130.am - all this in half an hour, that clearly shows that they don't understand stress. Tom, You will need to discuss your concerns with your Department or Agency Health & Well Being and L&D lead. However, I should point out that we all have different learning styles and some people find short “bite sized” learning, using webinar to be an excellent way to refresh previous learning or to obtain a basic understanding of a topic as an initial taster for further learning. CSL offer additional face to face Stress Management learning events for people who prefer more traditional learning events. Colleague off for 2 months on stress. EoY Box Marking 3. I'm glad some of you have had success with "mindfullness" but along with others, it actually made my anxiety worse. There is no one size fits all cure for anxiety or depression. Distraction works better for me than mindfullness to help control my anxiety. HM Passport Office's "2020 Vision" is to automate the renewals process. By my reckoning, that means a 70% reduction in work volumes and consequent large-scale job losses. How will the threat of potential redundancy for two thirds of staff help their mental health, I wonder? Thank you for the Tips I have printed them off and put them up in our Staff Rest Room as I'm not sure this "Blog" will read by many in my Team? We held an event everyday, that linked in with the 5 steps to wellbeing, in my Department last week to highlight MHAW. We set up an information board providing details on emotional wellbeing and local support groups, for Anxiety, OCD and Depression. Held a get active lunch time walk. Had a Tea and Talk Hour. Handed out thank you slips to connect with others and set up a mindfulness fact sheet. the Tea and Talk hour was our most successful. Many who attended really opened up about issues they were facing regaring the stress they were under at work. We hope to build on this and be able to address some of these issues. It's good to talk! I had two periods of sick leave last year relating to depression. I also have IBS and gynae problems. At the time I had leave my partner was gravely ill and had spent 3 weeks in hospital and 6 nights in intensive care. However, during the time I exceeded some objectives and achieved others. The works OHA consultant and my GP said I had to make an effort to go out and keep an eye on how much I was withdrawing from friends and family. I specifically told the OHA I was worried what would happen if work colleagues saw me out. To cut a long story short I took their advice and went out socially with friends on two occasions as they were concerned. Unfortunately one friend took a picture and put it on social media. I happened to be smiling. Result Box 2. I would have had a box 1for the excellent work I did apart from those two absences but this picture apparently meant I was not ill and was having the time of my life. Unfortunately I neglected to have friends take pictures of me looking practically catatonic and as miserable and depressed as sin. Perhaps this would have presented a more balanced picture. Shows that mental health awareness and acceptance is still far from being satisfactory in my experience. I even offered to provide my medical notes but that offer was never accepted. I truly believe that if god forbid I had been off with cancer or other some such 'visible' illness my social occasion would not have received the reaction it did. Is this discrimination? This is discrimination. If you had cancer it would have been OK to be seen out and smiling, as it would have shown you were getting better. But with somehting mental the ill informed expect the sufferer to be indoors all the time in distress. I was off sick with depression a few years ago and my doctor told me to go out and get exercise. I contacted HR and told them this, and confirmed it to them in writing, as I have known people be fired for being seen out and about when off sick. HR accepted it. I think it is important to keep HR informed about what your doctor is telling you to do in order to recover. The one important thing a Psychiatrist old me is that depression almost always goes away eventually. A good therapy is to go out (!!) and help those in need. Adopting the role of carer brings hiden benefits. I was recently off for a fortnight caused by domestic related stress. This period was covered by a doctor's note and an OH report stating my recovery could take up to 6 weeks. I pushed myself back into work after just a fortnight and was greeted with a written warning. I'd taken just 1 day off sick in the rolling year prior to this. Caring department, don't make me laugh! I'd advise all staff to state that their stress is work related. The attendance management policy is perverse. I have suffered from depression for a long time. Much of it was caused by the harrasement and bullying that went on in my workplace. Thankfully i am now happy and on a team where no such bullying or harrasement is taking place. However i do have to take anti depressants to manage things to ensure that i dont slip into another downward swing. That is not to say i dont have moments when i do feel a bit down. It just keeps a tight leash on things. Whilst i welcome any initiative to improve and discuss mental health issues, what does need overhauling is the dreaded Attendence Management System. It is no good living under the threat of an oral warning when one comes back off sick leave. Someone suffering with depression especially just does not need this. it only exercabates the situation. You are fearful whilst ill to come back and be court marshalled. And when the warning is given to someone you then spend the time in warning worrying about back sliding and are too afraid to take more time off sick. This is a draconian way of doing things. Surely an oral warning should only be given if there is a history of poor attendance and there is evidence of abuse taking place, for example using the time off sick to train for another job or going shopping. Why are those genuinely ill being treated so harshly?!!! I am currently on anti-depressants, along with medication for a chronic condition, I recently was offered a month long fit note from my GP as in her opinion it would be the best to help with my depression, allowing me to escape for a little while, and allowing the medication to help me cope with day to day living, before going back to the stresses and strains of the office grind. I turned it down, and when asked why, my GP was appalled that the reason I gave was that I do not want to go back to work facing compulsory disciplinary action, and then having a period of 18 months where I am living in fear of either my mental health worsening, or my other chronic condition having flare ups. All the tips in the world will not help this situation. My friend often suffers from depression and I'm trying to find ways to help her. Thanks for the advice about doing something your good at and trying to beat stress. I'll have to talk to her and maybe suggest that she try this and that she go see a counselor. Sobering reading. Thanks to all those who have shared their stories. It shows how widespread difficulty and discrimination is!